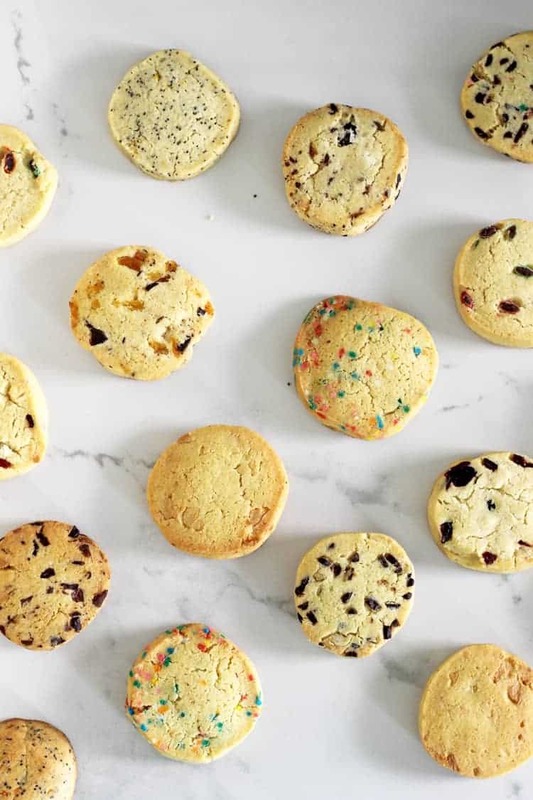 This recipe for easy slice and bake cookies comes with 9 flavour ideas! 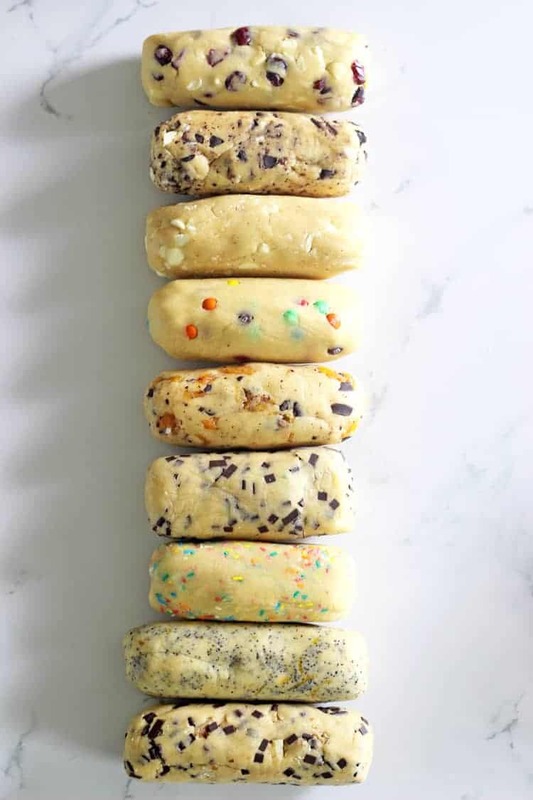 Perfect for school lunches or homemade gifts, the cookie dough can be made in advance and frozen for cookies in a snap! Have you made slice and bake cookies before? I feel like they were the original chocolate chip cookie. Before mixers, before we decided that dough needed to be chilled and well before any fancy special ingredients were even a thing! 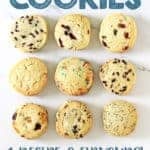 This recipe for easy slice and bake cookies is the original that my mum used to make when we were kids! She would make a big batch, roll them up, put them in the freezer and could pull them out to bake at a minutes notice. Perfect for visitors or school lunches when you spent Sunday outside in the sun instead of getting ready for the week. 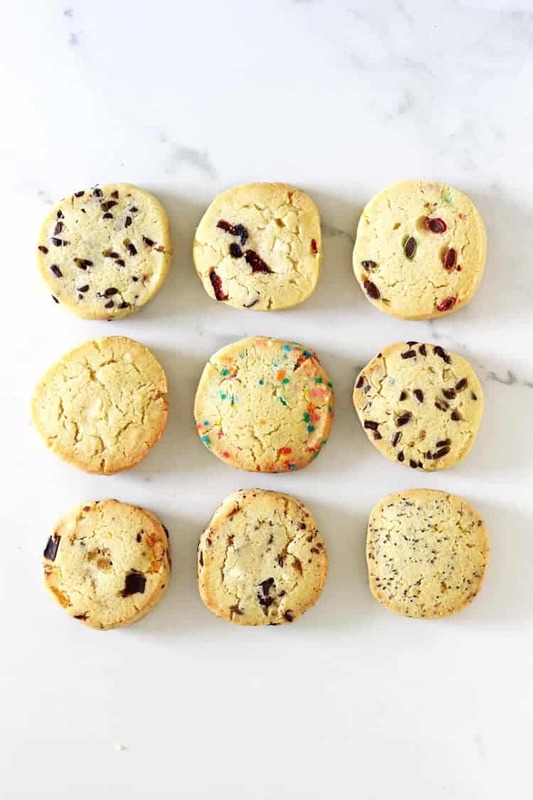 There are SO many options when it comes to slice and bake cookies. You can make pinwheels, you can coat them in sprinkles or sugar – you can even put images inside them if you’re feeling really crazy! I made four Christmas flavours last year which are super fun and often go back to the sprinkles version I first made. But what I wanted to bring you today was simple. 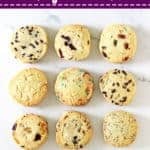 1 basic slice and bake cookie dough recipe with 9 different variations that simply involve adding them in and continuing on. Easy! 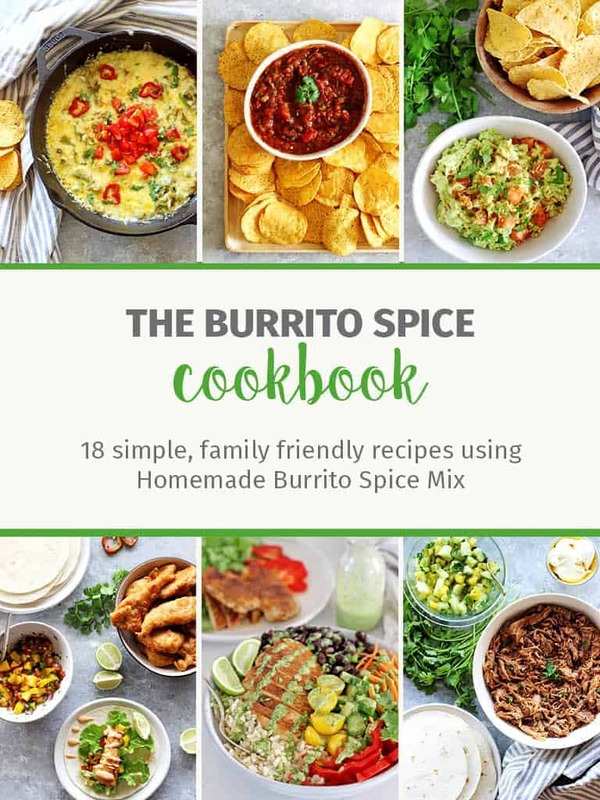 And if you happen to be running on no sleep and you ran out of coffee, it doesn’t matter if you skip a mix-in ingredient or combine a few of the flavours – they’re going to be delicious either way! The dough comes together in a jiffy and the hardest part about this recipe is deciding which option to make! 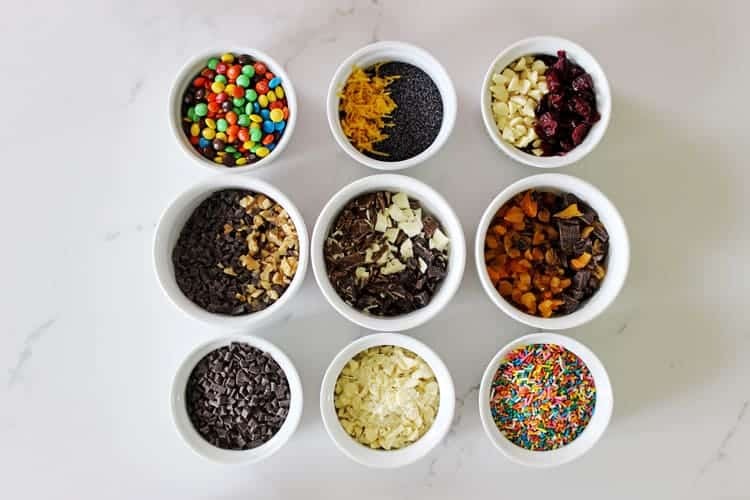 The best thing is, out of these nine flavour combos, there is bound to be something to suit everyone! 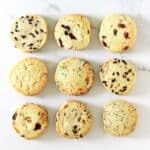 Make one flavour or make all nine and keep them in the freezer for when you need cookies last minute! 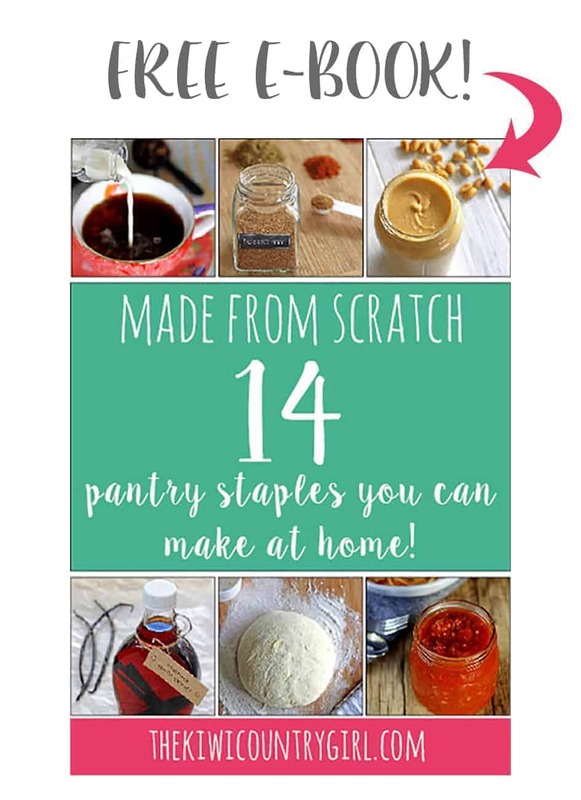 Coming up to the end of the year they will also make a fabulous holiday gift for someone! Cream butter & both sugars in the bowl of a stand mixer or in a large bowl with a hand mixer on high speed until light & fluffy. Add the egg and vanilla and beat until well combined. Add flour, cornflour, baking powder & salt and mix on low speed until combined. Add your chosen mix-ins and beat on low speed until combined. Split dough in half and shape each half into a roll about 20cm long. Wrap in plastic wrap and chill in the fridge for at least 2 hours. At this point, you can also put the rolls in the freezer. 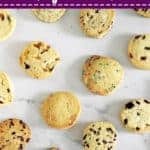 Remove the cookie rolls from the fridge, unwrap and slice into 1cm thick slices, lay out on a lined baking tray with 2-3 cm between cookies and bake for 8-10 minutes, or until starting to go golden. Allow to cool on the tray for 5 minutes, then transfer to a cooling rack. Hi Laura. I was wondering where in the Waikato you get your white chocolate chips or are they buttons that have been chopped? Hi Kirsty! They are white chocolate drops that I just get from the supermarket – I’ve been using the Nestle Baker’s Choice White Chocolate Bits but I think Countdown have a branded one too – or Donovans! Using chopped up buttons would definitely work though. Thank you Laura. I have been shopping at Pak n Save for years and they had white choc chips for a while but don’t any more, only buttons. So I went to Countdown the other day and got some. Looking forward to making more of your raspberry and white chocolate muffins – I love them!